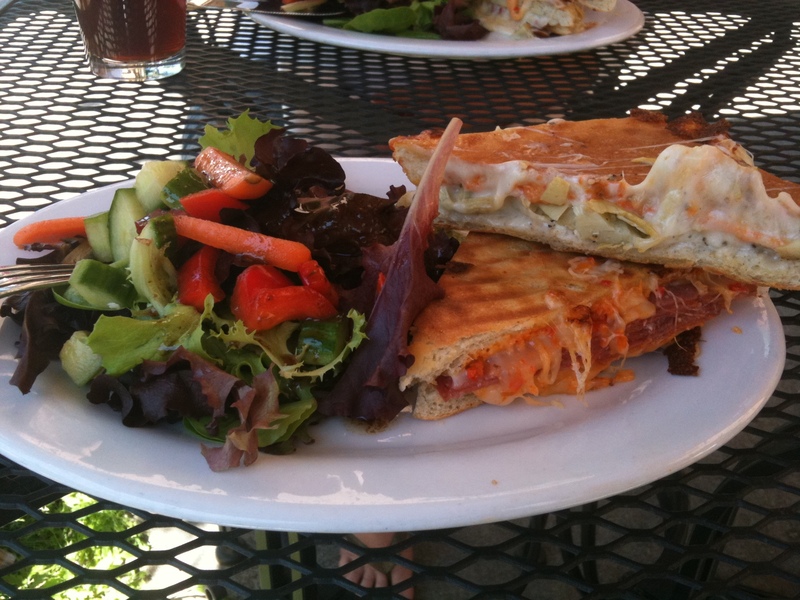 My favorite sandwich ever: salami (or artichoke heart), mozzarella, and pepper pesto panini at cafe Limelight in downtown Santa Cruz. It’s delicious. So is their balsamic vinaigrette. That looks so tasty!!! I need to get a panini maker! Luckily I went to Santa Cruz a few days ago and was able to eat one!